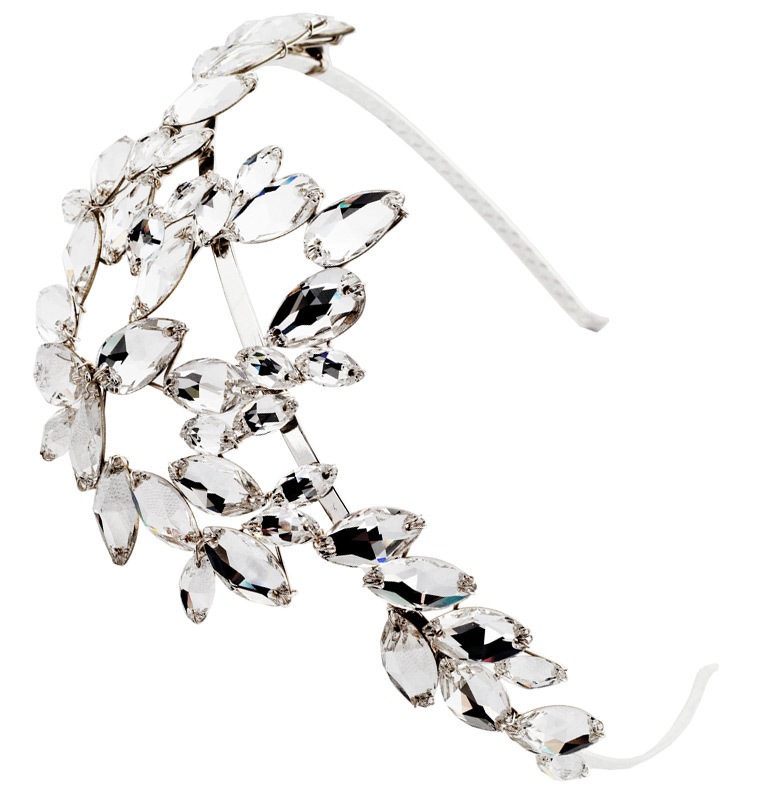 A shower of Swarovski crystals are woven together with silver plated wire to create this truly beautiful striking headband. Worn either way around the Adonia headband is a piece of timeless feminine elegance. Designed with 47 flat Swarovski crystals in a variety of shapes and sizes to create something truly special.